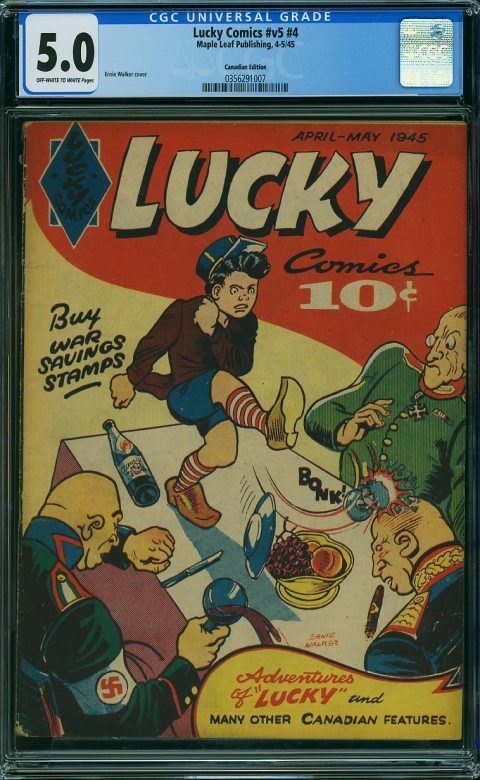 The Comic Link auctions have been, perhaps, the primary source for obtaining Canadian wartime comics (WECA comics) over the last half-dozen years. 2017 offered up a comparative glut of these hard-to-find books with just over 180 of them being made available over that 12-month period. This year, pickings have been slim. Only a dozen had been listed before October. However, the October focused auction dropped 75 WECA books for us to bounce our wallets off–with 15 coveted west coast Maple Leafs among them. This collection is the one bought by Ashley from Sell My Comics who posted a video of its unboxing on youtube this past spring. Of these 25 books, more than half are Maple Leafs. The highest result was achieved by a Jon Stables Brok Windsor cover and the second, more curiously, by a lower-grade Stables Piltdown Pete cover. Somebody must have wanted this to fill in a hole. 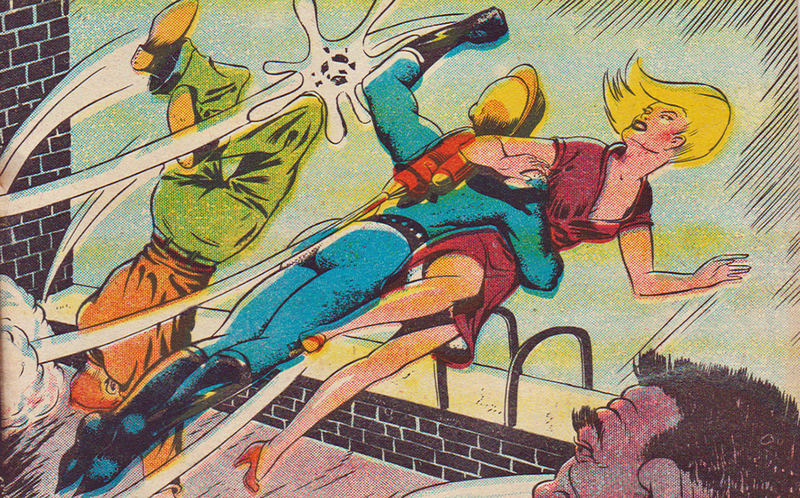 I think that both went a little high for their grade, especially the Lucky, but there clearly was competition for these books and that’s the key thing—these books are desirable on their own and coveted by collectors. The next 3 books produced better than expected returns for Qualified grades. 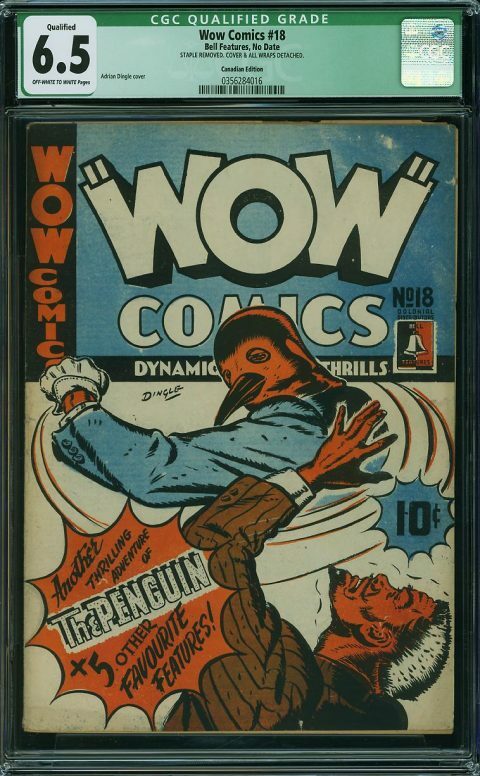 The Penguin cover Wow 18 had had its staple removed and all the wraps were loose. 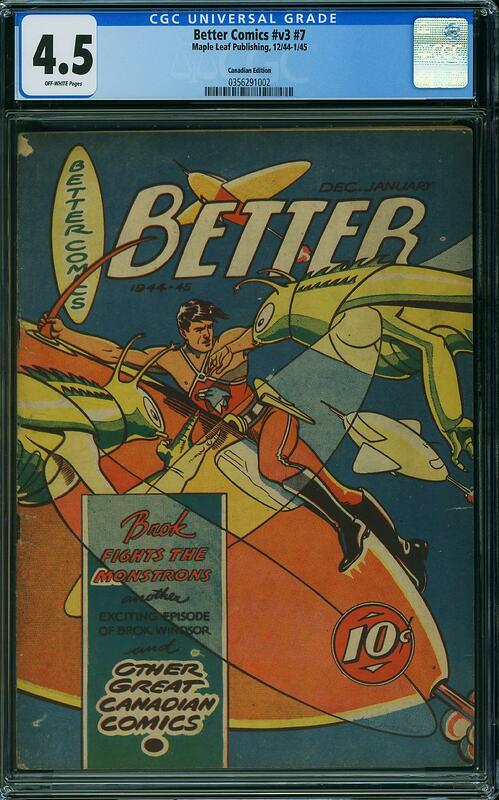 The Citren Super with the reprint of the first Archie story was missing its two centre wraps and this affected the story. The pre-Brok Better Vol. 2 No. 4 has a panel cut out of the 2nd page that affects the story. Despite this, they received almost a grand-and-a-half each and show that even some incomplete Canadian wartime books are highly desirable. The top ten are rounded out by three more Maple Leafs, a restored Triumph with a Speed Savage Dingle cover, and a higher-grade Joke Comics. All of them hovering around the $1000 level. 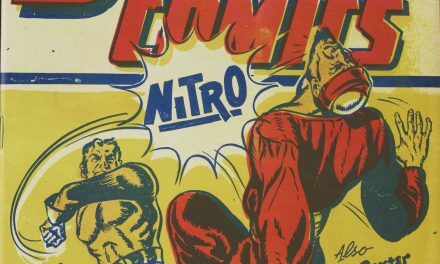 But, you know, the most important column in understanding the collecting significance of these wartime Canadian comics may not be the decimal grade or the amount of the final winning bid, but that new column I’ve decided to add—the far-right column with the number of slabbed copies of each comic in the census. Notice that the Citren Super with 9 copies in the Census and the Triumph 22 with 3 are the aberrations while the rest have only single slabbed copies. This continues for the remaining 50 WECA comics in the auction with only 4 of that 50 having 2 copies in the Census–the rest are the only slabbed copies. Let’s compare this with some of the other books in the same auction. The St. John Nightmare 13 at 7.0 with that wonderful Baker merwomen cover sold for $2155. It is a sought after and very hard-to-find book that has 22 copies in the Census. Batman 50 at 7.5 sold for $3100 and has 80 copies in the census. 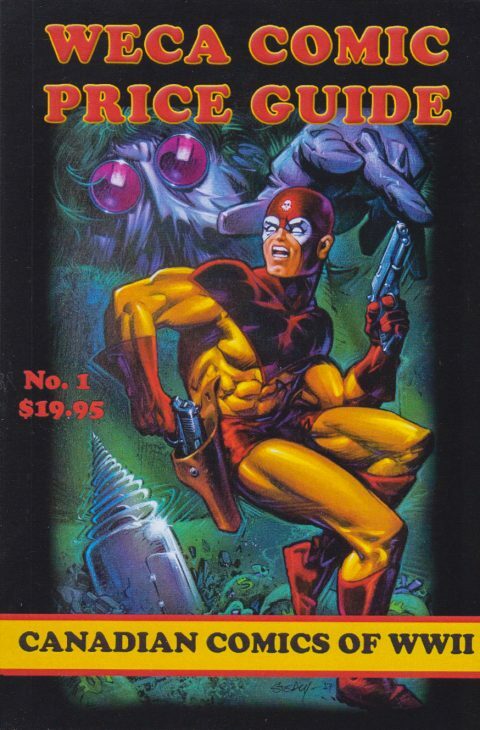 Marvel Mystery 6 at 3.0 sold for $1988 and has 26 copies in the Census. Captain America 47 at 6.5 sold for $1510 has 67 copies in the Census. 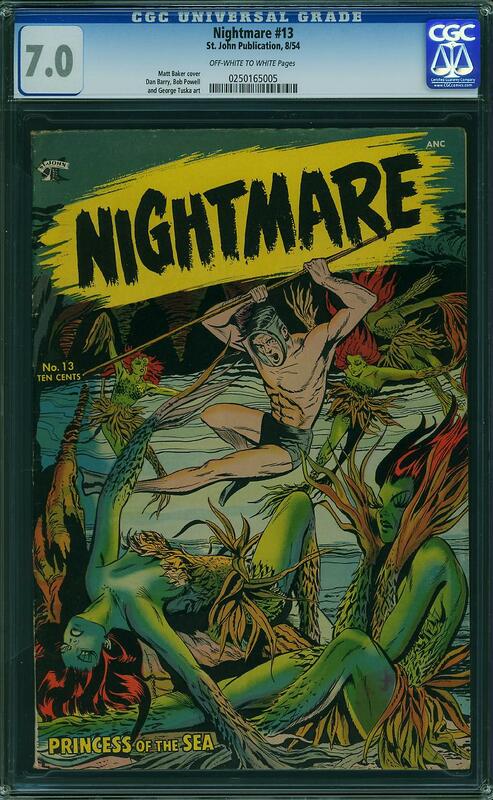 Finally, one of the most chased books on the planet, Amazing Fantasy 15 at 3.5 sold for $24,255. AF 15 has over 3000 copies in the Census. 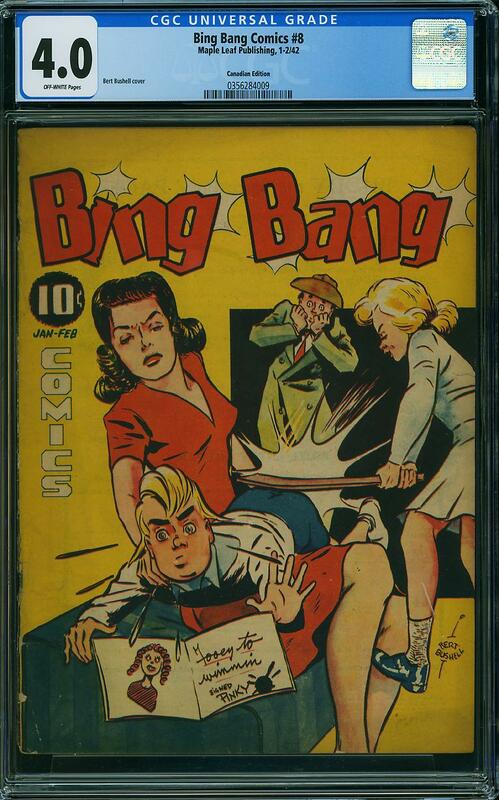 I think that this Bing Bang #8, with the great spanking cover, may have been the bargain of the lot at $461. 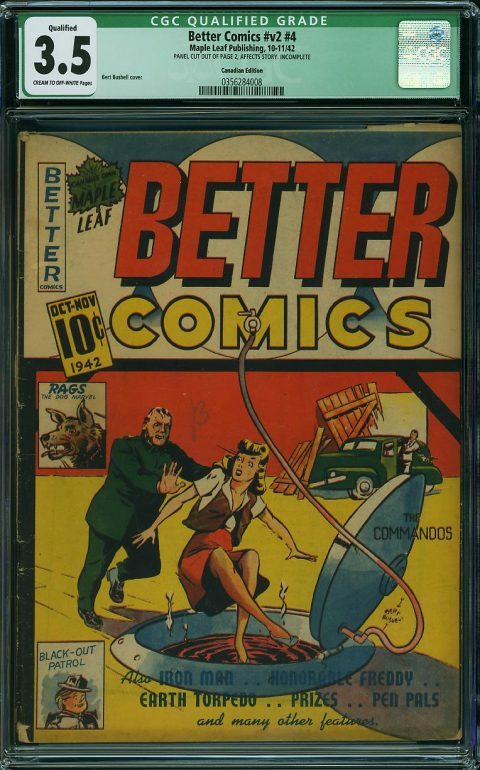 When it comes to Comic Link auctions of WECA books my financial constraints compel me to become a ‘bottom feeder, essentially a scavenger of Anglos in the $150 range and below and I managed to pick up a half-dozen of them. 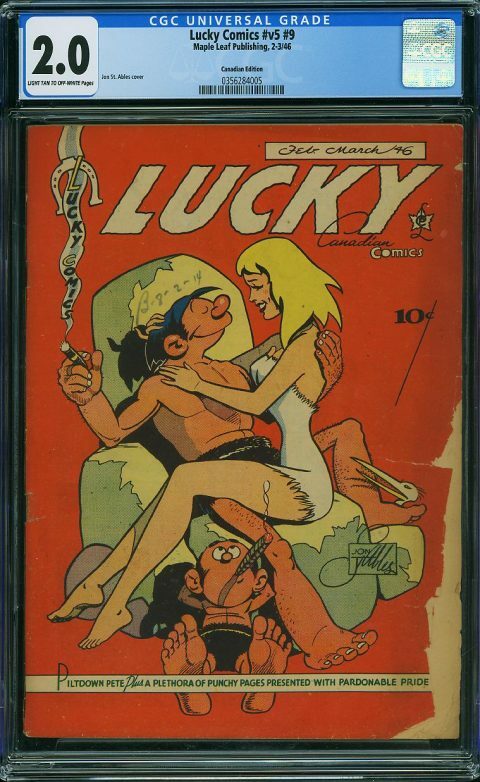 I think that one characteristic of WECA comic auctions is that there is a small niche group of collectors bidding after them. I know that I and four fellow collectors scored just more than half of these 75 books which makes me think that there were probably less than a dozen collectors that carved up the whole 75. In the comic world, that is a tiny group of chasers after a small, rare and obscure treasure trove of books. Still, just a half-dozen years ago, you could have picked up most of the books on the list for $150 or lower, many of them much, much lower. Let’s try to think why most of us jump into these auction pools and have a swim around with our spear guns in the first place. Some of us are completists and want to fill holes in our collections. With these books, that’s very much a futile, life-long project with plodding, incremental progress. A lot of us want these books as trophies that we can mount on our walls, call upon our phones to share with other envious collectors, or just post on social media. A few of us collect just the keys and/or covers that resonate with us and these are probably the lucky ones because they have the most chance of approximating a sense of completion on their collecting curve. For a handful, these slabbed books might be plain commodities that can be bought at a bargain rate and flipped for a profit or socked away as long-term investment potential. A small few just want to be able to hold a piece of Canadian history and take a closer look at them and record their details—maybe even crack open some of the lowest grades and actually read them (I know I’ll be doing that for a couple of the books I won I this auction). 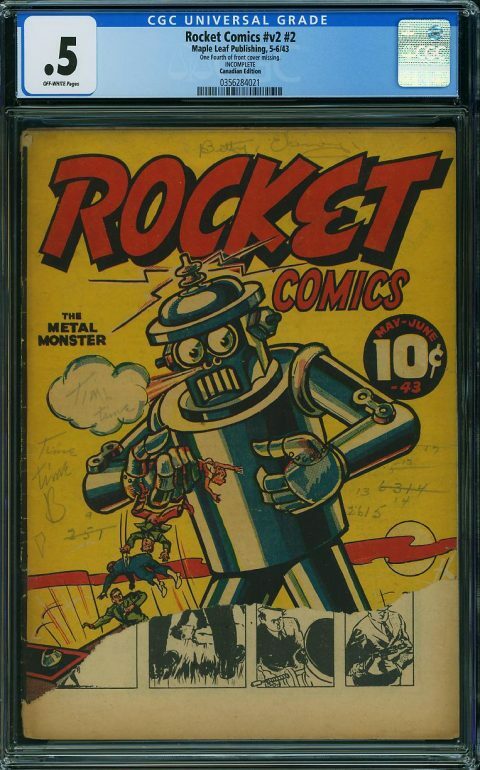 There’s a little bit of each type in all of us, but for fossils like me, who remember what it was like to collect comics before Overstreet, slabbing, the internet, and the explosion of comic book universes across mass media, there has been a sea-change of what it means to be a comic book collector. 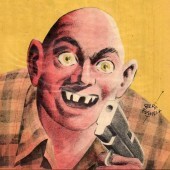 The comparable American edition of the book. I should also mention the five True Picture Magazine Comics which were also up in this auction. They all went in the $40-$60 range. 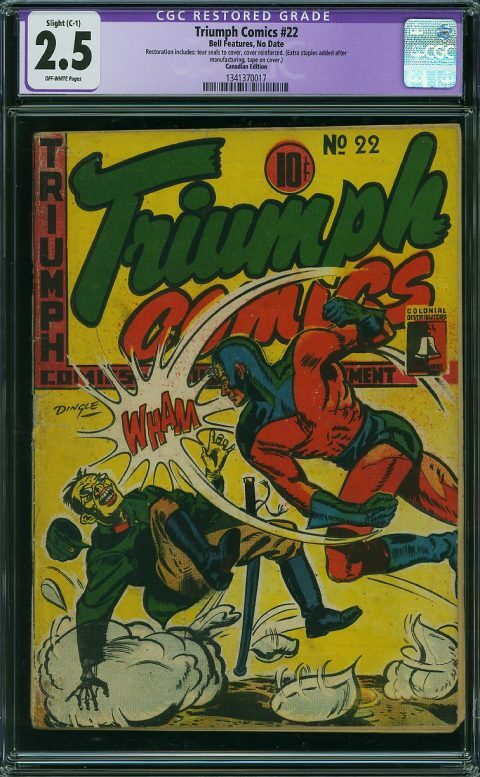 The situation is this: True Comics was, like all the Parents’ Magazine publications and Classics Comics, one of those American titles allowed through the War Exchanges Conservation Act blockade. 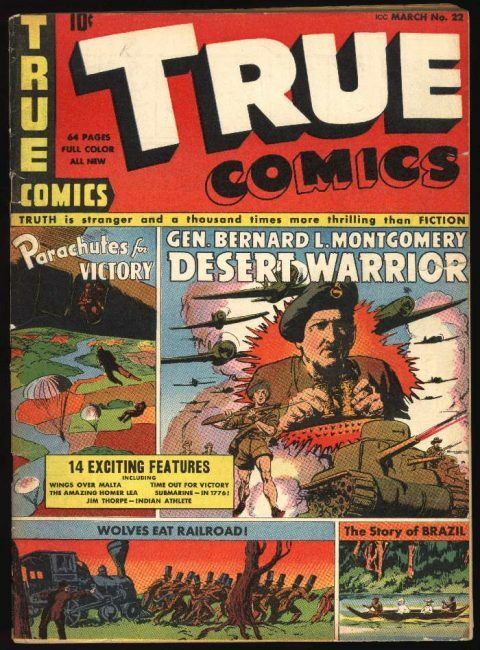 The release dates and contents of True Picture Magazine Comics were identical to the True Comics in the American market. The only differences seem to be that Parents’ Magazine altered the title for Canadian release and whenever there was a story related to Canada the publishers changed the main text box on the cover of The True Picture Magazine books to announce this for the Canadian market. These are the only markers that distinguish the two editions. There is no indication that the books intended for the Canadian market were even printed in Canada. 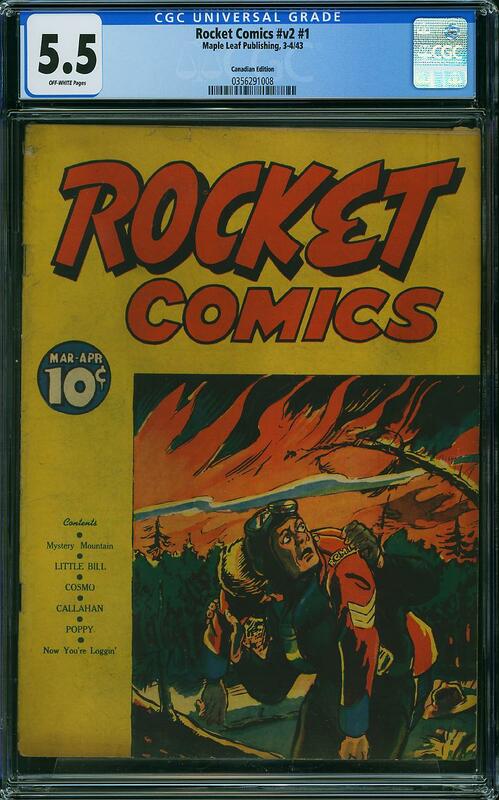 Comic Link erroneously referred to these books as “Canadian Whites” because of their dates, the title change and the cover text box modifications. They were comics that appeared on Canadian stands between 1941 and 1946 but they are not WECA books. The phrase “Canadian Edition” is the correct designation on the CGC blue labels for these books and the later FECA reprints, but it doesn’t belong on slabbed WECA books proper as CGC continues to do. This has always left me with the impression that Americans foster the conceit that their comics were the first comics and the only real comics—almost as if they had trademarked the idea of a comic book and that comics produced in other countries, such as Canada and Britain, were just foreign and imperfect offshoots (“editions”) of that original American construct. No! Our WECA comics are original Canadian comics and should each be labelled “Canadian Comic Book” in that blue (or yellow, or purple, or green) band across the top of those clear plastic coffins. 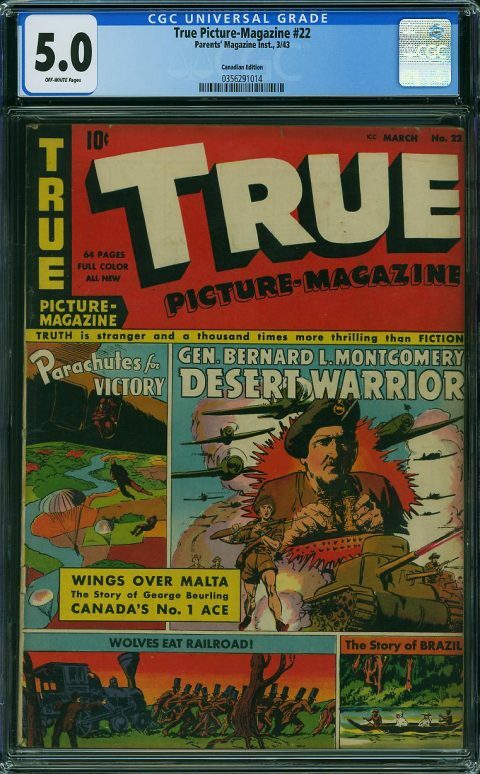 Issues of True Picture Magazine were not included in the WECA Price Guide. Overall, I don’t think the WECA comics results in this month’s Comic Link auction were not out-of-line with the prices listed in the WECA Guide. There are always books that underachieve and those that go for over, even multiples, of guide. There are so few books available at auction and set sale that it’s hard to feel confident about the validity of a price point you set. Then next auction or sale will inevitably challenge it. I think that the WECA Guide is still a solid starting point and its real value is in being a comprehensive checklist for WECA books. 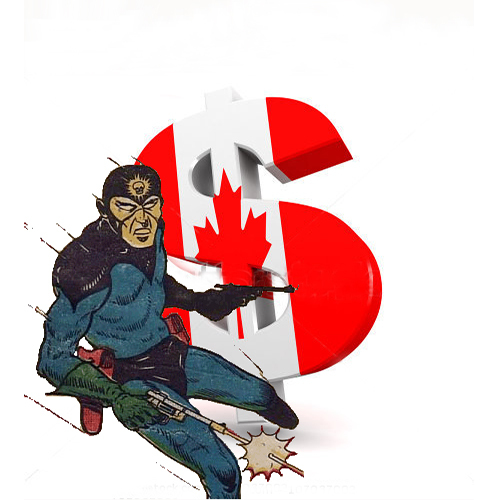 However, we can say that the blue-chippers seem to be Maple Leafs and most Bells and that Citren Super, while Canadian Heroes and a lot of Anglos (especially in lower grade) are being left behind. 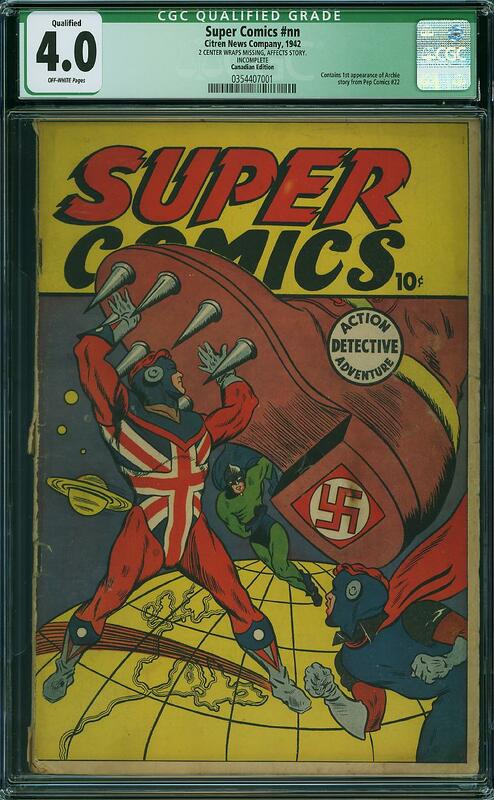 Maybe the new Shazam movie will bump some collectors into looking at the Anglo Fawcett redraws though we’ve been blowing that horn about American Fawcett collectors for some time now. There are a couple of numbering and dating errors in the Guide (mainly due to the crazy numbering matrix that late Maple Leaf books used) that need to be fixed and a couple of additions of newly discovered books that need to be made but the pricing seems to be a solid start and there shouldn’t be a need for an update for a couple of years. Perhaps the bigger job of a guide and checklist for the mainly reprint FECA books from 1947-56 is the daunting next step starring us in the face. Perhaps the guide will also help more collections such as this one surface in the future. I certainly hope so and I hope that we’ll eventually get to see another Nelvana one-shot compilation or even a Triumph-Adventure 1 climb up the auction ladder. Can’t wait until the next time a bunch of books like these show up on a Comic Link auction. 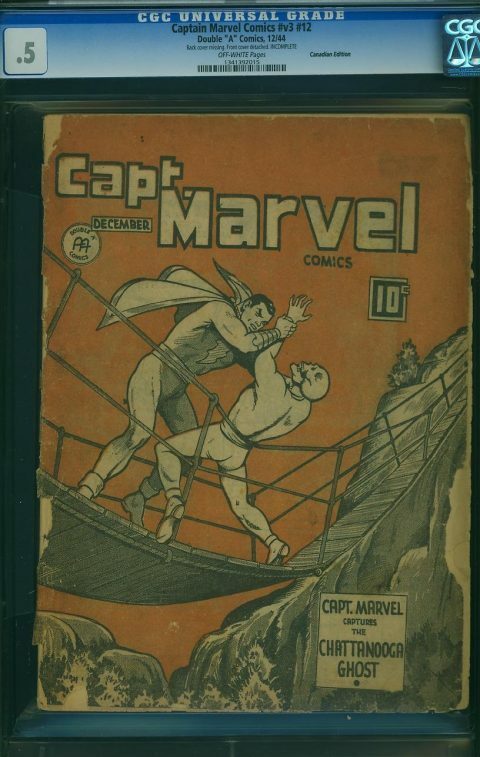 Captain Marvel V. 3 No. 2. This was the lowest result for $34. I salvaged it and will be cracking it open to read and record. I am not surprised at the results. The Anglo-American books did not get a lot of love. I picked up a couple of Freelances and one Three Aces with a fantastic GGA cover. 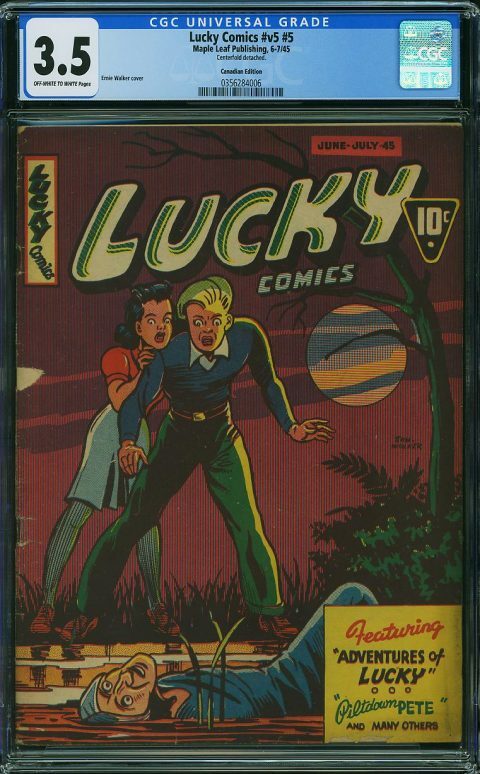 The chewed up Lucky Comics that realized $1900.00 may in fact be a result of exactly what you suspect Ivan: somebody must be pretty close to a complete run of that title to pony up that kind of dough! The Bells sold for fair prices. 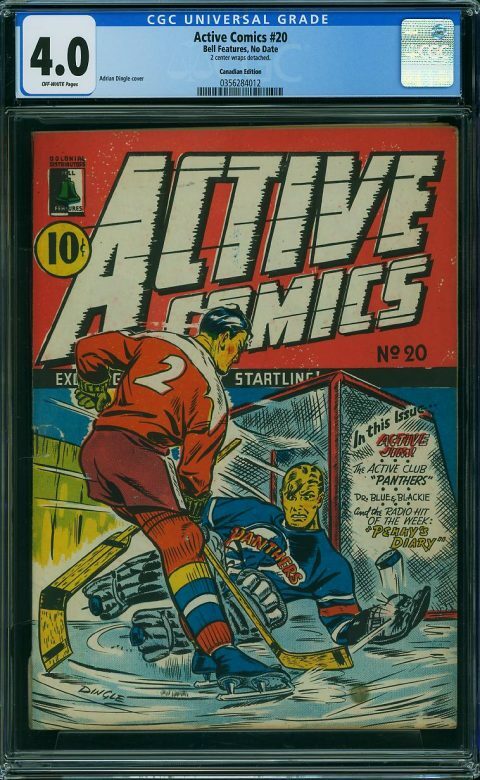 I picked up the Active 20 with the Iconic Hockey Cover and was able to get the Active Comics # 19 as well. The WOW 18 looked to be a bargain, irrespective of the staple removed. With respect to WECA Price Guide, Canadian Whites are very volitile and the price ALWAYS very widely, with the exclusion of the third tier Anglo American titles of course. Good observations, Stephen. 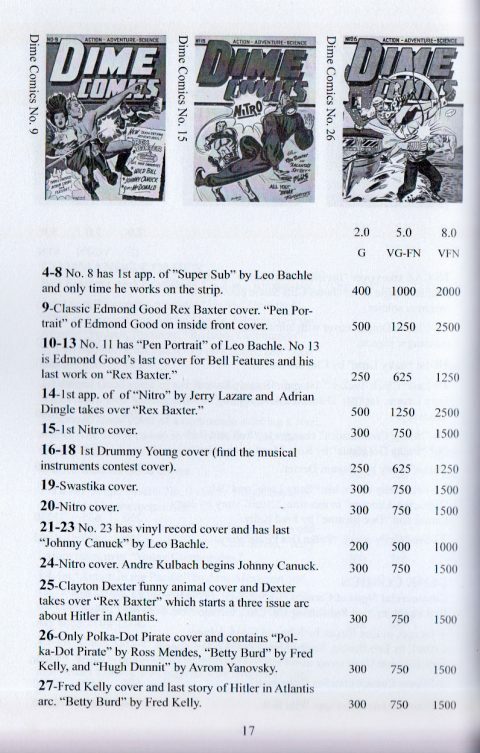 Here’s the equation: very few copies available + a small niche of collectors = solid and wildly varying prices. The first part of that equation is very unlikely to change much but the second can grow significantly. That is only going to have one effect on the the third part. Since you have mentioned number of copies of Canadian books showing on the census, here are my observations. The CGC census is a train wreck for Canadian books. You already mention one issue , that is their arbitrary labelling of our books as Canadian Editions that shouldn’t be for the reasons you mentioned above. They also create variant census data for the exact same Canadian White issue published because they sometimes put one as from Canada in one instant and then as from Canada and as a Canadian Edition variant so the number of copies slabbed of a particular is not all together. Ive even seen two copies of the same issue both with the Canadian Edition wording on the label yet they have them split with one as from Canada and as a Canadian Edition variant, and one just as from Canada. I have 7 slabbed Canadian Whites that know longer exist in the census yet I have them and they have not been resubmitted as upgraded/different graded issues. Active 19 is an example where they have split the two graded copies into 2 and Active 11 is an example of them missing the CGC5.0 copy in the census. In this auction there is a Better v6_1 that is labelled in the census and as a Bell Features book. I liked seeing all the Whites in this auction. 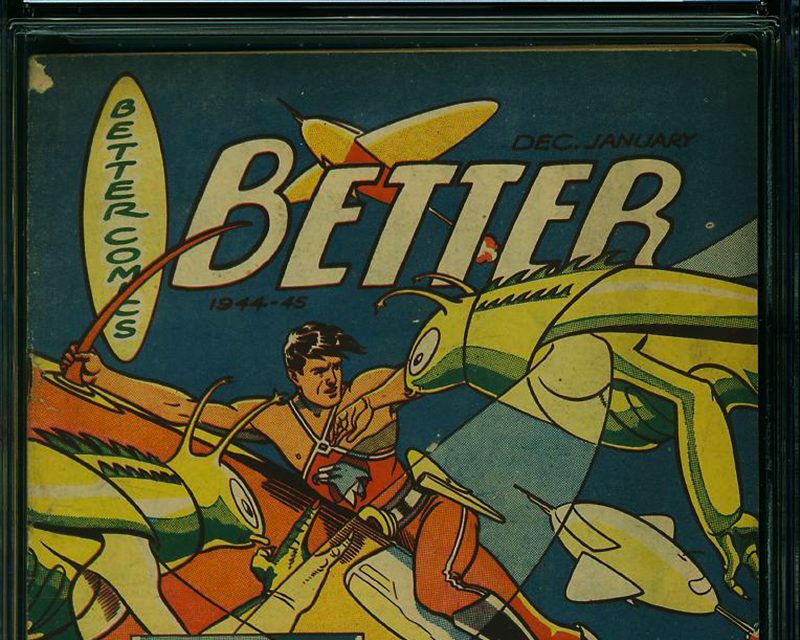 I tried to focus on the Maple Leafs but the Betters were getting strong prices, especially that fantastic Brok Windsor cover which I foolishly thought I had a shot at!! I won the Bing Bang #8 which I though was a bargain and the Cammando #17. Funny thing on that Commando #17, I saw the cover and said “my my, what a great anti war cover !! A soldier releasing a peace dove !! I want this book! !” I was all happy I won it until Ivan ruined my party by correctly noting that it is a carrier pigeon sent to deliver a war message! Gah! Still a great cover and I’ll keep pretending its a peace dove. Jim, I know what you are talking about when it comes to the Census and CGC in general in their lack of scrutiny when it comes to our first Canadian comics. I wonder what their reference materials are. I can imagine a grader sitting at the grading table and shouting at another grader across the room while looking at one of our WECA Bell book without any real indicia in it: “Hey, do you know what this is?” and the other guy shouting back: “Yeah, that’s one of those Canadian things. Just put something down, nobody really cares….” My Signature Series of Wow 17 with Gerry Lazare’s signature on it came back labelled as the Fawcett Wow 17 with the cover date of 9/43 stating that it contained Otto Binder story and a Jack Binder cover!! What sort of professional grader wouldn’t know the difference between a Fawcett Wow and a Bell Wow?!!? Walt, I think Dingle was conscious of the “peace dove” imagery and was playing on the irony of making the messenger pigeon white like a dove. That’s what I took it for the first time I saw the cover. That message is still embedded in that cover. Thanks for sharing the youtube link. 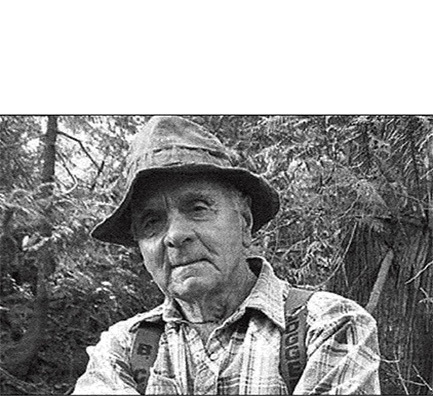 We seldom see Americans talking about our first Canadian books and they make some good points, especially about maxed out, deep pocketed collectors who are looking for something new and esoteric and of quality to collect. Thanks, Chris. Definitely worth a try to see if they’ll. I wonder if mis-labelling a book by CGC affects its value? For example, my Bell Features Wow 17 is mis-labelled as the Fawcett Wow 18. Would it be worth more, as a oddity, than a correctly labelled book in the same condition?